I bought a 2004 Mercedes-Benz SL55 on the used car market, and after just one week of ownership, the engine seized. I was on the side of the road. Here's how it happened. I was on my way home from work. I merged onto the highway, top down, with my favorite iteration of Bodak Yellow pounding through the stereo so hard that the tips of my hair buzzed. This car is really good at that sort of thing. Then, white smoke surrounded me. At first, I laughed. "No way it's my car," I thought. 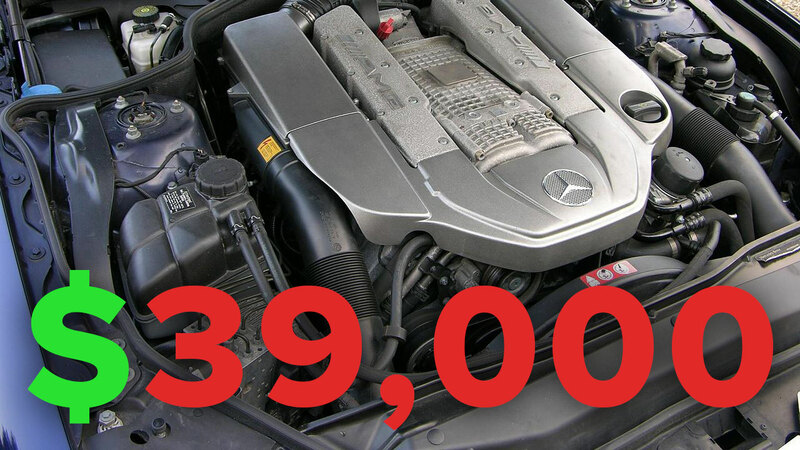 Shane Giumarello is one of FCP Euro's Customer Service Associates, and this is his saga of love, loss, and everything associated with buying a ~$140,000 when-new 2004 Mercedes-Benz SL55 AMG for $15,000. Cardi B came through the speakers, I turned up the volume even more and kept driving. But the smoke persisted, almost as if it was following me down the highway. "Maybe a few drops of oil dripped onto the exhaust," I hoped. The smoke eventually started thickening. It got so thick, I couldn’t actually see behind me. Yet, I continued to signal my lane change because I wanted to play this off as if it were no big deal. Everything is fine. Maybe more oil dripped onto the exhaust than I thought. I do need a new valve cover gasket, after all. The check engine light flashed and I lost power. I pulled over and Eve was barely able to idle. I did the old fashioned "turn it off then back on" move only to find that the car merely clicked when pressing the start button. It was such a jarring contrast to the bliss I had just experienced - the M113K scream in the front, the thundering exhaust in the back, and the general feeling of acceleration so hard, my stomach hurt from it. Now, I was choking on some white smoke sitting inside an AMG paperweight on the side of the road. I kept trying to play it cool. I opened the hood and found one air hose disconnected from the air filter. Okay. That’s it! I’ll just reconnect this hose, one that's completely incapable of producing smoke at all, let alone capable of stalling a car. But this'll work, I know it. I was fully in denial, and connected the hose to no avail. I panicked and once reality set in, I knew what I had to do. I called AAA for a tow. I couldn’t help but admire how great the car looked as I paced back and forth with my sweaty, shaky hands talking to AAA. It's moments like these where, as a car enthusiast, we really seem insane. Here's a vehicle I just bought, which has now just broken, and here I am admiring it as it sat on the side of the road, unable to continue under it's own power. By this point, the call to AAA has almost depleted the last of my phone's battery. And when they eventually showed up, watching it roll onto the flatbed was bittersweet. How is this happening? What even is happening? Luckily, the tow truck driver was an enthusiast who shopped at FCP Euro, and that made the ride seem like a fun date rather than a rescue. I was still in denial. The car perplexed even the most knowledgeable of my Mercedes colleagues. There was no fuel pressure at the rail, cylinders 5-8 threw misfire codes, and the crank only turned a sixteenth of an inch before getting stuck. Since the car reeked of fuel, we removed the spark plugs and found them covered with gas. Even the oil smelled of gas! Things had gotten very serious very quickly, so I thought It'd be best to have my local Mercedes dealership diagnose the problem before we started throwing parts at it. While I'm a big proponent of DIY and often do most of the repairs on my vehicles myself, I know when I'm in over my head and this was such a scenario. $500 and a few hours later, they found that Eve had a bent rod. The worst part was this: it happened because one $50 fuel injector stuck open and pumped so much fuel into the engine that something had to give. It could've been saved if I hadn't tried starting it so much. That's what killed me (and the car). An afternoon on my back could've solved this emotional roller coaster. 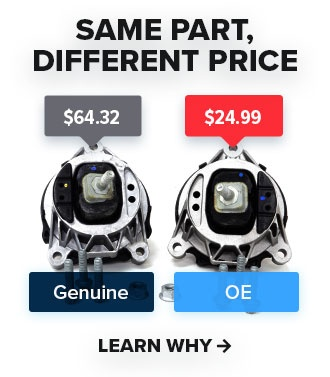 The dealer sprinkled salt in the wound by trying to squeeze 40 additional hours of labor from my empty wallet to disassemble the engine, after topping it all off with a $39,000 quote to source a brand new engine from AMG. I kindly told them to give back my car after I caught my breath from laughing so hard. Actually, I may have been crying at that point. I proceeded to live the worst two months of my life, trying to gather my emotions and options together as I stared at the car sitting all alone at work, broken. The sun gleamed and the trees swayed on beautiful Connecticut summer days. This was time I could've been driving the car, top-down, enjoying all it had to offer. It killed me. A coworker kindly recommended an amazing shop called Fairfield Motoworks to replace the engine. After much deliberation, I decided to hire them to do the work for what (I consider) to be a very fair price. After just one week, my $15,000 Mercedes became a $25,000 Mercedes with a new engine. Their owner, Chris, was prompt, fair, and (most importantly) empathetic to my situation. They've since become my go-to for repairs I'd rather not manage myself. One week later, I had my car again. All seemed well, and I reprieved my Cardi B and blasted it while merging onto the highway when, suddenly, the radio shut off. My heated seat and ESP followed. Then the rest of the electronics followed suit. I maintained denial until I tried restarting the car. It was absolutely dead. Now, the engine worked, but the rest of the car did not. Once again, I had an AMG paperweight. Have a similar horror story? Share it in the comments below!